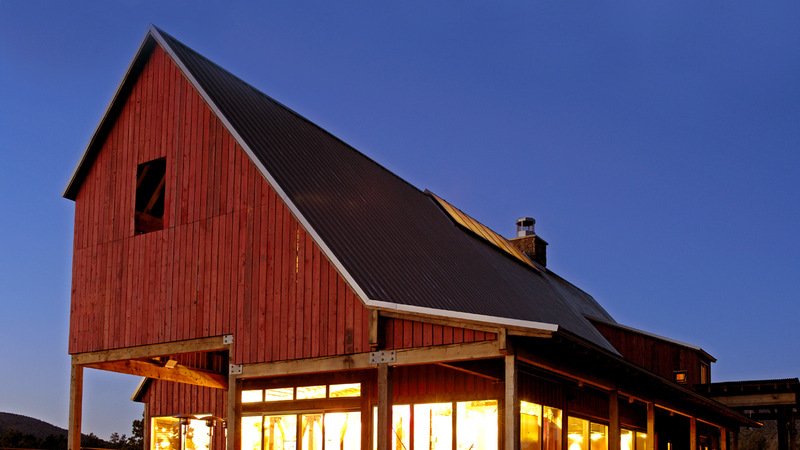 The Community Barn is one of five buildings comprising "Ranch Headquarters", the centerpiece of the Brasada Ranch Resort community. 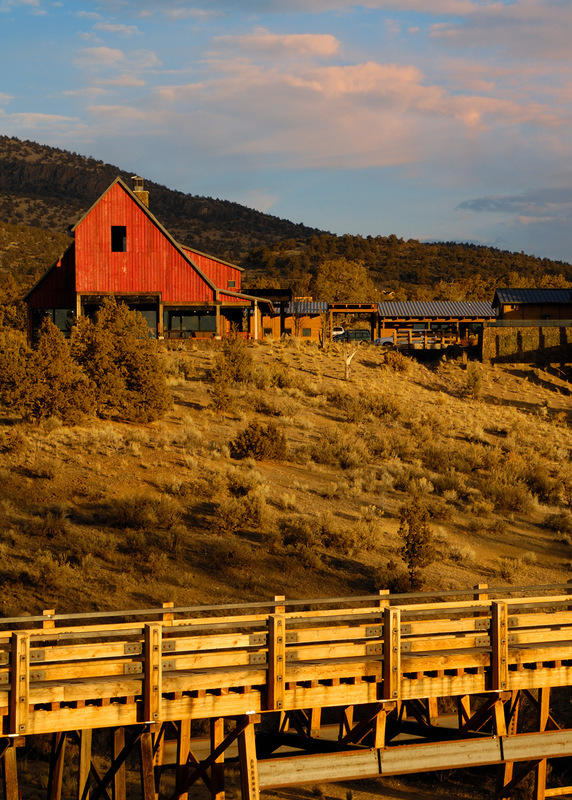 The resort is a family-oriented community on 1,800 acres of high-desert in central Oregon. It boasts a low-density planning strategy and has set aside 1,000 acres of open space, ample room for hiking, biking, and horseback riding. 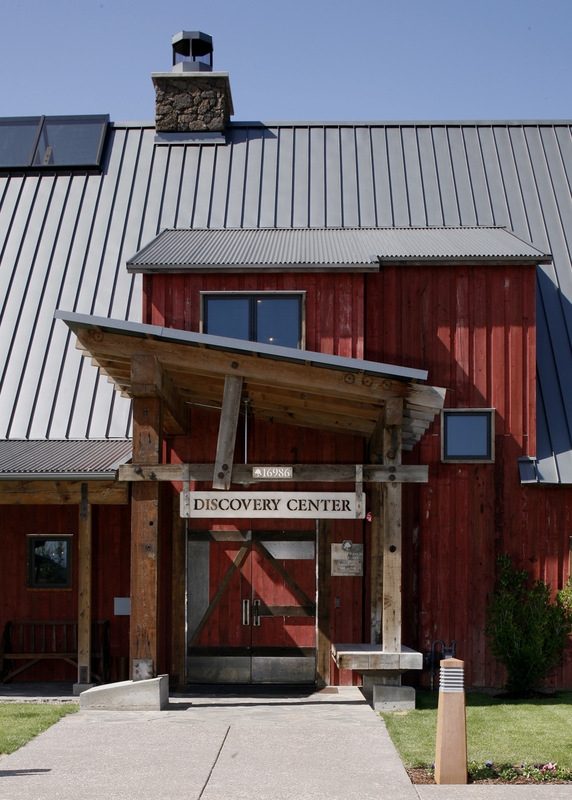 A nearby defunct lumber mill was carefully salvaged, providing heavy timbers and beams for the resort buildings. An on-site historic water-flume trestle was completely refurbished to serve as a walking and golf cart path. All other wood building material is Forest Stewardship Council (FSC) certified. 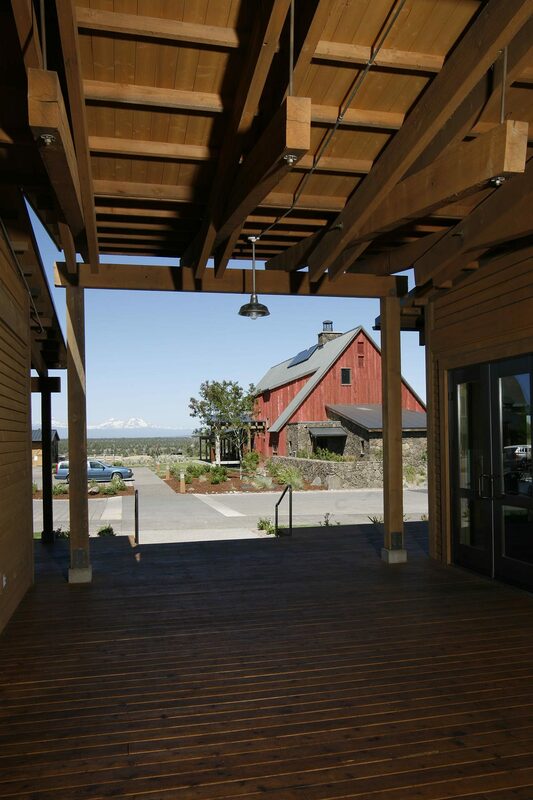 Salvaged timbers and beams, Forest Stewardship Council (FSC) certified wood, and Metal.